Great for Super Bowl Sunday! Dream & Lover Cookies are easy to make. Sensationally fun! Perfect for Valentine’s Day, or any celebration. This recipe makes an incredible soft chewy cookie with out the bitter baking soda after taste found in regular drop cookies. Best to mix the dough and chill over night. Measure flour, baking soda and salt. Wisk together. In separate bowl measure sugars and mix together. 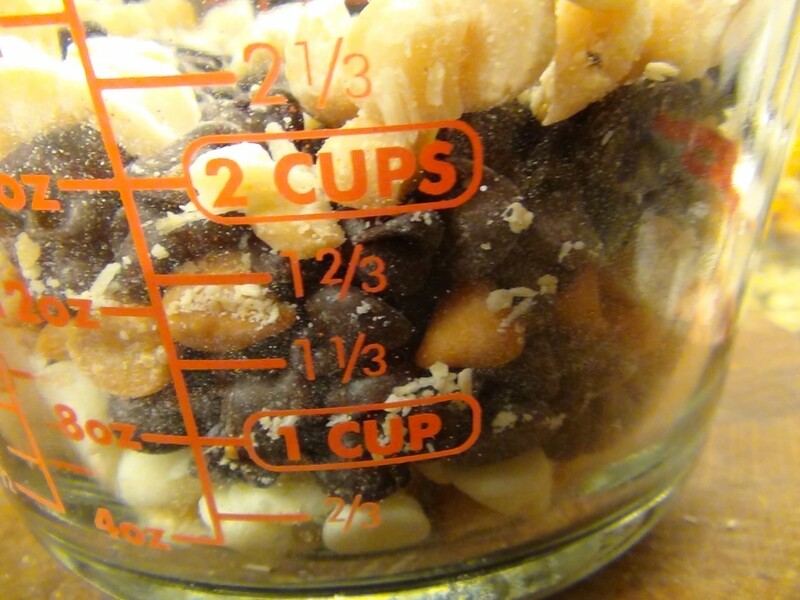 In separate bowl measure nuts and candy, mix together. Cut butter into small cubes and place in mixing bowl with sugars. 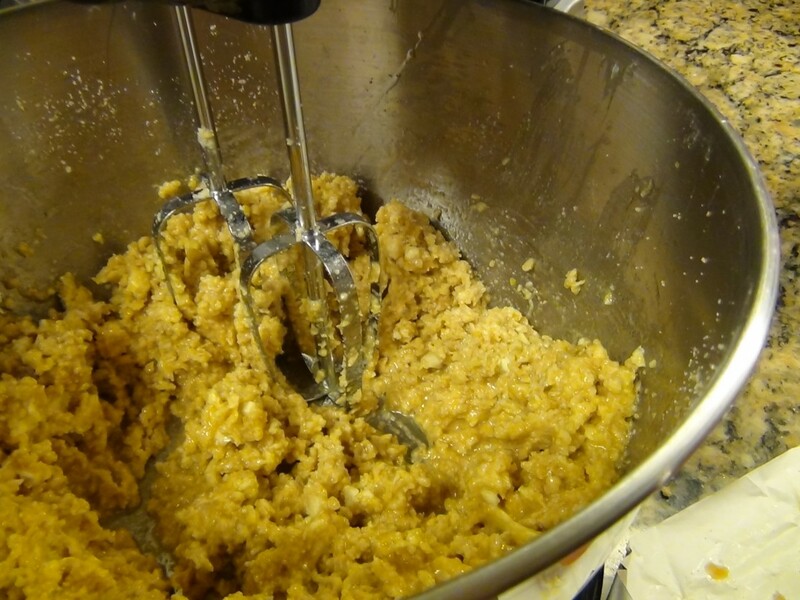 On medium-low speed mix in butter to make a grainy paste. Just 2-4 minutes not over mixed. Push a bit with spatula as needed. Wisk eggs and vanilla separately. Add eggs and vanilla to sugar butter mixture. 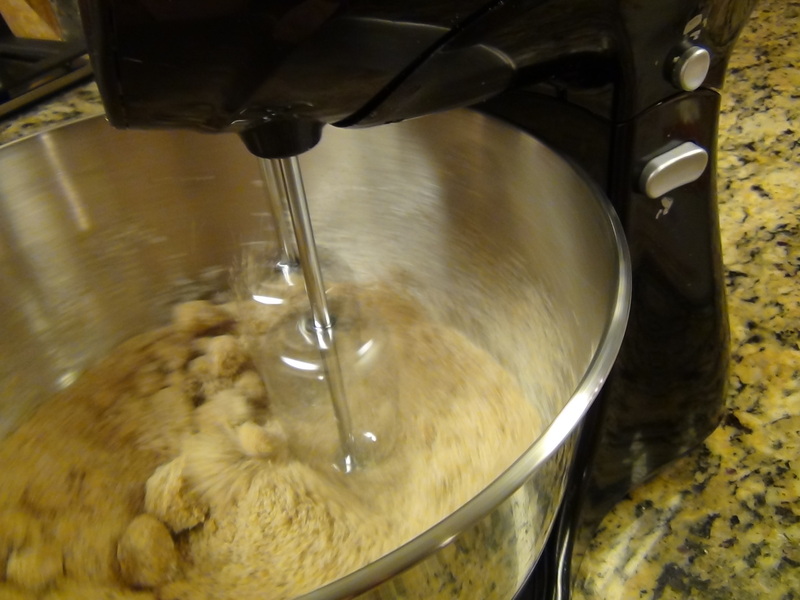 Mix on low speed do not over blend or cream together, as in old drop cookie recipes. Batter should look as shown in second picture. Add flour, then nut candy mixture. Again use low speed, and spatula as needed, careful to not over mix. Cover with plastic wrap, and refrigerate for 1/2 hour to over night. Pre-heat oven 275°-300° Line baking sheets with parchment paper. 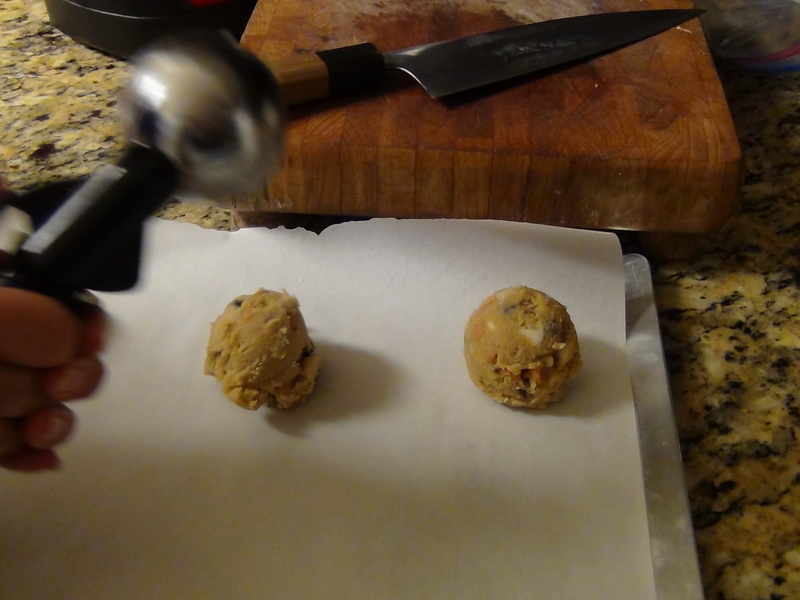 Use an ice cream scoop to form and measure cookies. Place 2-3 inches apart on baking sheet. Bake 23-30 minutes, how cool or hot your oven runs is the difference here for time and temperatures. When done slide parchment lined cookies onto cool surface asap to stop the baking. 5-10 minutes later remove to cookie drying racks. 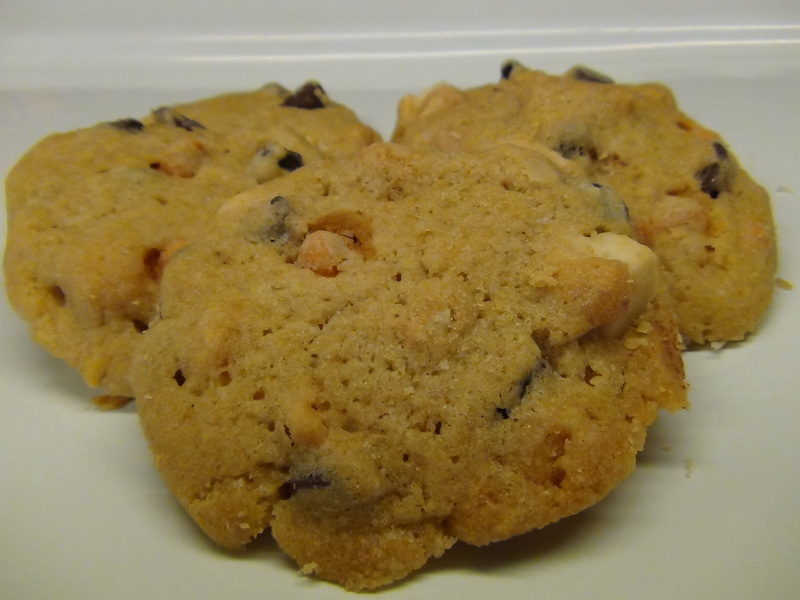 Enjoy these fabulous rich soft cookies with the ones you love!